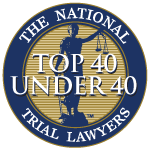 Our pedestrian accident attorneys in Fort Myers and Cape Coral were not surprised to learn that Florida claimed four of the top five most dangerous spots in the nation for pedestrian accidents. Unfortunately, pedestrian accidents have reached near epidemic proportions in Florida. No area of the state is immune. And it is a year-around problem that impacts all ages, from grade-schoolers to the elderly. 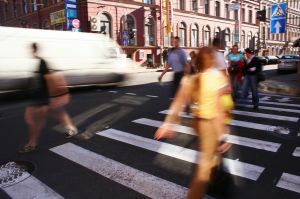 Florida accounts for more than 10 percent of the nation’s fatal pedestrian accidents ( 490 of 4,378 in 2008), according to the National Highway Traffic Safety Administration.. Only California records more fatal pedestrian accidents. The new report by Transportation for America found the top five most dangerous metro areas in the nation are Orlando, Tampa, Miami-Fort Lauderdale, Jacksonville and Memphis. However, when looking at all areas of a state, Punta Gorda was the most dangerous area in Florida for pedestrian accidents. Followed by Vero Beach, Ocala, Panama City and Orlando. The Cape Coral and Fort Myers area was the state’s ninth most dangerous, with a reported 32 fatal pedestrian accidents in 2007-2008. Naples-Marco Island placed 17th, with a reported 12 fatalities. Nationwide, more than 76,000 Americans have been killed in pedestrian accidents in the last 15 years — more than 43,000 have lost their lives in the last decade alone. During that time, 3,906 children were killed. The federal government reports that pedestrian accidents disproportionately impact children and the elderly, with about 20 percent of all pedestrian accidents involving a victim over the age of 65. -Traffic calming and street design: Including signals that give pedestrians a head start in crossing the road. Such planning, when combined with speed-reduction measures, can reduce accidents by up to 70 percent. -Complete Streets: Planning for upgrades and future road projects need to take into account the needs of all users, including bicyclists and pedestrians. The needs of various age groups and persons with disabilities also should be taken into account. -Safe Routes to School Program: These programs take a comprehensive approach to student safety, whether walking, riding a bike, waiting at the bus stop or on the bus. -Walkable Neighborhoods: Communities need to be designed with plenty of emphasis on walking and bicycling, including parks and public spaces, restaurants and nearby retail facilities.